In our continuing series visiting potential countries for North Americans to retire or relocate, today we will take a look at Canada. As always, we'll look at cost of living considerations, accessibility, political stability and more. Check our blog for a similar comparison to a variety of other countries. The United States’ neighbor to the north is not usually the first place Americans think of when they’re considering retiring abroad, but Canada offers some appealing benefits for expats, as well as some difficulties worth overcoming. It may not be a tropical paradise that some retirees dream of, but for those who prefer world-class skiing rather than skin-diving it just might be the prefect place. And it’s hardly all prairies and frozen tundra -- from the ruggedly graceful coastline of the Atlantic provinces to the lush Okanagan Valley in British Columbia, Canada is a vast country of natural beauty. 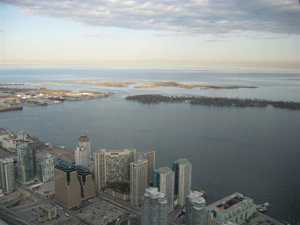 It also boasts some of North America’s most important cities, Toronto (photo) , Montreal and Vancouver, all culturally vibrant and diverse metropolises. Two of the biggest financial incentives for moving to Canada are its lower cost of living relative to the United States and its national health care program which is mostly free at the point of use for its citizens. Canada’s typically higher taxes may counteract these benefits for some people, but at the very least Canada and the United States have an agreement not to tax expats twice, avoiding a problem that can plague Americans abroad in other countries. The biggest challenge facing those of any country who wish to retire in Canada is getting permission to do so. United States citizens don’t need to apply for a visa to visit Canada for up to three months, but to stay there permanently does require a visa. Unfortunately, Canada no longer offers a specific visa for retirees, which leaves expats with the option to either apply for residency as an investor, which requires a minimum net worth of $800,000, or as a skilled worker, which is only open to certain occupations. Expats who enter Canada on a skilled worker visa may find difficulty gaining employment in some of the eastern states without being bilingual in English and French, but French is not required in the rest of the country. Canada has the second largest landmass of any country in the world, and its southern border with the United States is the world's longest. It is a vast country, and contains more freshwater lakes than anywhere else in the world. It is made up of mostly plains with mountains in the west and lowlands in the southeast. The climate in the north and interior is usually far below freezing, with snow covering the ground at least half the year, but the costal regions enjoy temperate climates and highs in the 70s, with British Colombia having the mildest winters. 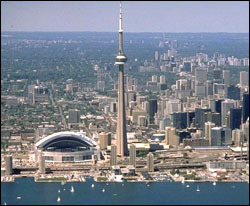 Canada’s population was 33,212,696 in 2008 and is estimated to be 35,051,000 by 2015. Most people speak English, although about 1/3 speak French; both are official languages. In terms of currency, one US dollar is roughly equal to 1.13 Canadian dollars. Median price for an apartment in Toronto’s city centre: $7,538 per square meter.